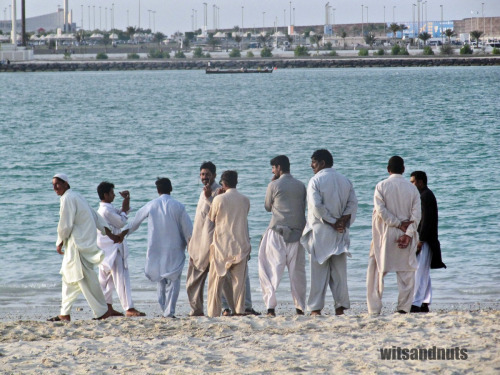 After a day’s hardwork, some of the Pakistanis go to the beach to unwind. Since most of them are Muslims, as the call to prayer is heard (from the mosques), they pray intently wherever they are (facing the direction where the sun rises/sets) . For non-Muslims like us, we are now accustomed to seeing them praying near the beach, especially when there is no much time to reach the mosques. i had a client from Middle East who prayed while we were working in a factory in Cebu. yon nga lang, pagkagat ng dilim, gusto na mag beerhouse (LOL). .-= luna miranda´s last blog ..Magellan’s Cross [Ruby Tuesday & My World-Tuesday] =-. Haha. Marami ngang ganyang kwento. Naalala ko nung bata pa ako, may ibang manang na pagkatapos mag rosaryo sa simbahan eh minumura yung ibang kasamahan nya. I was told that their God sleeps during the night. And because of this, he can’t see them doing bad things. Ewan ko lang kung joke lang yun. I first saw a sight like this in the part of the public market in my hometown where all the stall owners are Muslims. I kinda admired their adherence to their religious practices.They would pray with no shame, while the kid me would utter my prayers in school quickly and silently, and sometimes not at all. .-= katcarneo´s last blog ..It’s February, Y’All! (And Yes, This Post Contains the Word Love) =-. I truly admire how the muslims pay respect to Mohd and Allah, prayers 5 times a day and the reverberating speakers during prayer time calling everyone to come and stop working for worship, such devotion. .-= Yellow Bells´s last blog ..5 Ways to Win a Man’s Heart =-. yes, normal lang yun sa kanila. walang malice. parang satin sa mga babaeng friends diba naghoholding hands din tayo. .-= dyanie´s last blog ..Lunch at Sumo Sam =-. Looks like no? But he was praying. To Pinoy Expats. Be careful when driving around labor camp areas. A Pana friend warned that their laborer compatriots are facing pressures from finances. New modus operandi, instead of hanging themselves (where they absolutely get nothing), they sit by the road, wait for cars at night and throw themselves at the vehicles para kunwari binangga mo and then they get all those insurance benefits. pls pass..
how do they swim, with their clothes on? .-= upto6only´s last blog ..Wooden Shoes + Pen + Card = Great Gifts =-. for me, anywhere near nature would be a great place to pray. i don’t know why, but i feel God close when i feel the wind, or hear the water, or smell the leaves or flowers. hmmm!!! i admire their devotion to their spirituality. .-= docgelo´s last blog ..WE WON AS FINALIST AT HP @ PL! =-. ang galing. i admire them for praying 5 times a day. hahaha. natawa naman ako sa comment ni reena. as in napansin nya ung magkaholding hands. .-= eds´s last blog ..january 2010: inspirational quotes =-. .-= mordsith´s last blog ..a decade over a cup of coffee =-. Just the same when we’re in Manila. 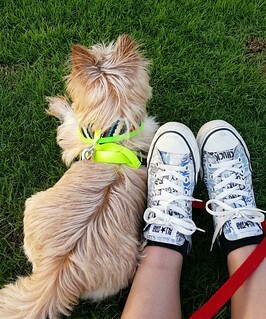 Go to malls, coffee talk, spending time at home either lazying or busying with different stuff. Whenever I see Muslims praying fervently close by, I keep my silence while remaining impressed with their devotion. It’s just sad that others have gone extreme and resort to killing i the name of God. .-= Nomadic Pinoy´s last blog ..Tomb Raiders =-. .-= fortuitous faery´s last blog ..Litratong Pinoy #75: Akin (Mine) =-. .-= mai´s last blog ..Plantex Green Solutions =-. That’s what I admire about them: their religiousity. And like us non-Muslims, minsan hindi natatranslate sa gawa ang ating pagiging maka-pananampalataya. i saw those too when i was in dubai. i’m amazed at their devotion like that. .-= ibyang´s last blog ..Say "I love you" All The Time =-. .-= bursky´s last blog ..assignment number 0 =-. Their devotion is really admirable. Kahit ano pa yung ginagawa nila at that minute, when the call to pray comes, they will.